Personifying these fraudulent programs operating out of U.S. embassies in places like Bolivia, Libya and the Ukraine, is former U.S. Deputy Secretary of State Richard Armitage. Armitage — who served at the State and Defense departments under George W. Bush, Ronald Reagan and George H. W. Bush — is perhaps best known for leaking the identity of CIA secret agent Valerie Plame as retribution for her husband U.S. Ambassador Joseph Wilson’s contribution to the exposure of the fraudulent weapons of mass destruction rationale for the invasion of Iraq. While the yellowcake scandal was overshadowed by the Plame affair, it pointed to the systematic deception used by the State Department to justify overthrowing foreign governments. 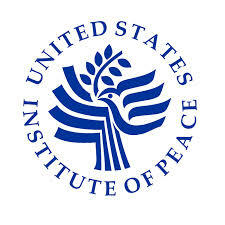 While critics of deceptively-named agencies like United States Institute of Peace point out that the supposed peace research looks more like the study of new and potential means of aggression through trade embargoes, austerity programs, and electoral interventions, its board when it was established in 1984 looked like a who’s who of right-wing ideologues from academia, the CIA and the Pentagon. As Wikipedia notes, nearly half its board played a role in the Iran-contra operations.